The best burgers deserve the best buns! Be the hero of the weekend, and impress your family and guests with the best buns in town. We'll be baking Virgina Savory (oregano, basil, garlic), Cheddar Garlic, Spinach Feta, and Golden Wheat for your Memorial Day celebrations - so good, the outside of the burger will be better than the inside! 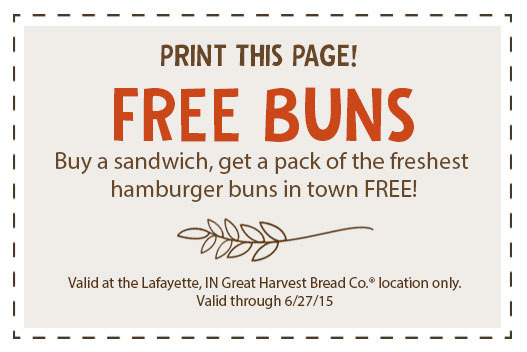 Stop in or call 765-742-7323 to pre-order your buns today!